UPDATED: Sat., Jan. 6, 2018, 3:31 p.m.
Never hurtled down a snow- and ice-covered mountain while strapped to two sticks? Or, with both feet locked into a solid plank? January is the month to change all that. January is learn to ski and snowboard month and area resorts are offering a slough of deals for first-timers. Lookout Pass: Get three lift tickets, three rentals and three lessons for $99. To sweeten the deal, upon finishing the three lessons you get a season pass for the remainder of the season. This offer is only valid to first-time skiers and snowboarders. Cross-over athletes (snowboarder to skier, vice versa) are not eligible for the season pass. Mount Spokane: Get three lessons, three lift tickets and three rentals for $129. Available on weekends and holidays. Graduates of the course can get a season pass for $99. 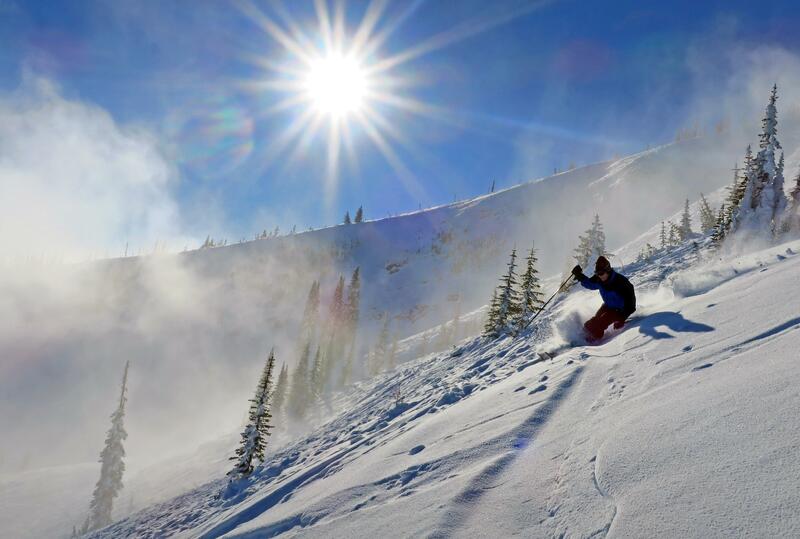 Schweitzer Mountain: Get a lesson, lift ticket and rental for $40. Silver Mountain: If you buy a lift ticket in January (adult $56, youth $41), you get a beginner group lesson and a rental package. 49 Degrees North: Get three lift tickets, three lessons and three rentals for $129. This deal is available on the weekends and holidays. Reservations must be made in advance. Schweitzer Mountain will install two new chairlifts in 2019, Tom Chasse, president and CEO of the North Idaho resort said on Thursday. “We think it’s going to be a draw and will bring in more people,” Chasse said. The lifts will replace the Snow Ghost lift, an aging double chair that services the Outback Bowl on Schweitzer’s back side. One lift will serve lower, intermediate terrain and will roughly top out at the midstation unloading area on the current Snow Ghost chair. The other lift will serve more advanced terrain on the Lakeside Chutes area of the Outback Bowl. Its base will be in an area known as Will’s Runout, and will top out near the Sky House lodge at 6,375 feet. “We don’t have enough lift capacity right now,” Chasse said. The Snow Ghost chairlift is the longest and slowest lift on the mountain. Chasse said that the two lifts will improve access for both advanced and intermediate riders. Construction will begin in summer of 2019, Chasse said. The two lifts will be operational for the 2019-2020 season. Published: Jan. 5, 2018, 9:08 a.m. Updated: Jan. 6, 2018, 3:31 p.m.